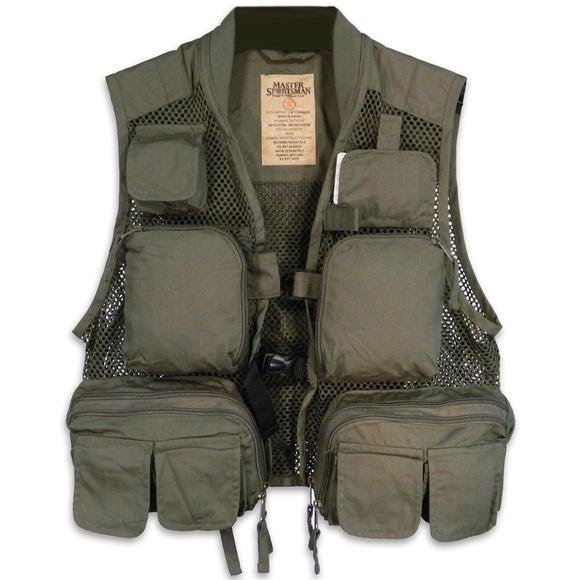 Stay on the river longer and catch more fish with the Gallatin Fishing Vest from Master Sportsman designed to hold everything for a full day of fishing. Brushed quick dry poly-cotton construction with breathable mesh and soft neoprene collar for all day comfort. I like the vest overall. it fits as expected. The only thing that I don't care for is the direction of the zippers on the pockets. Unless the zipper is entirely closed, you will lose things out of the pockets. For the life of me, I don't understand why someone would put the zippers on like that. other than that, it's a great vest.